S & R Mobile Auto Fix is on pace with the constant advances in automotive servicing technology. S & R Mobile Auto Fix applies the latest diagnostic equipment to service and repair your Audi car in Melbourne. Our Audi mechanic in Melbourne is highly trained and skillful to take up any repairs or service of your European prestige vehicles. We are committed to service excellence and as such, we consistently invest our mobile workshop with the very latest equipment and technology. Extensive experience together with our knowledge in European parts and equipment helps us maintain the very highest servicing standards. Our trained and certified Audi mechanic in Melbourne is fully equipped with all the latest equipment. 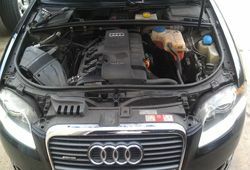 We are equipped to handle any type of service or repair for Audi. We have the latest diagnostic equipment and the expertise to repair and diagnose your Audi. We recognize a prestige vehicle such as Audi deserves premium service and use only the highest quality genuine parts designed specifically for your make and model to ensure your Audi is running at its optimum level. If ever you are based in Melbourne, looking for Audi Mechanics in Melbourne, call us on 0408 543 704 or write to us at srmobileautofix@bigpond.com.